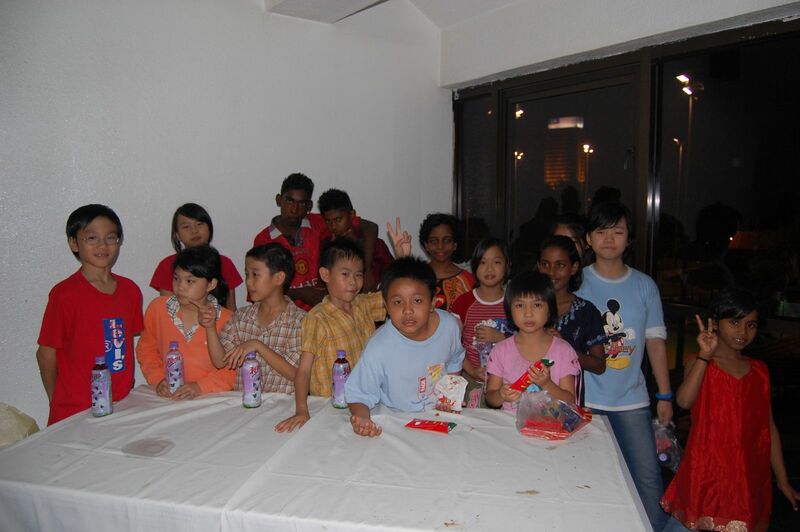 Rumah Hope was started in 1994 as a social ministry of Good Hope Lutheran Church, ELCM in aid of five needy children and as a sanctuary for abused, neglected and under-privileged children between the ages of five to 17. The Home relies solely on public funding to maintain itself. After four years, the Home moved from an old rented bungalow in Old Klang Road to the new home Rumah Hope 1 in Paramount Garden , PJ. The construction of the home was possible thanks to generous contributions in cash and kind namely from Evangelical Lutheran Church Malaysia , Khalid Aluminium Industries Sdn Bhd, NGO’s the general public and various corporate bodies. Rumah Hope 2, a second block was opened on 10th October 2006. Rumah Hope and Rumah Hope 2 will be able to house a maximum of 70 children. The Home is which is registered with Registrar of Societies is also registered with the Selangor Welfare Council and it has been granted Tax Exemption status by the Ministry of Finance. 1)Provide a haven (health care, shelter, education and social interaction) to physically, emotionally and psychologically scarred children. 2)Provide security and comfort to these children who never have experienced tenderness and loving care. 3)Provide the opportunity to reconcile parent and child from troubled homes through counselling and therapy. 4)Provide the chance of wholesome education in government schools. 5) Activities like woodwork, sewing and handicraft for the older children are organised. Through a sound upbringing and an environment that nurtures, loves and cares, Rumah Hope hopes to provide these children the opportunity to realize their dreams and step out into the world as independent, mature individuals who can be successful in life. The Present Management Committee, led by the chairman Jacob Mathew comprises of voluntary members from Good Hope Lutheran Church and other churches under the Evangelical Lutheran Church Malaysia (ELCM) together with individuals from private companies. All the management members are active in public life and are ardent supporters of various public welfare organizations. Along with our efforts to secure funds, a request for an annual government grant is being made annually. With government aid backing us, the possibility of extending our reach to more children becomes very real. The Home is grateful to its present batch of volunteer for sacrificing their personal interests for the children. We welcome more volunteers to help us in our cause. New beds and new mattresses because some of our old wooden beds are broken. Clothes cupboards for the 4 dormitories.Our present cupboards are broken. Towel Racks for the 4 dormitories . A Special Camera for 1 child who has gained admission into Sunway University to do a Diploma Program in Graphic Design and Multimedia Design. She needs the camera as a Course requirement. Her semester begins in August.We will confirm the model of camera and specifications with the University. Exercise Books – Square Line for Mathematics, Glue for school use, long rulers, watercolours. Black Garbage Disposal Bags – Large / Medium,magic colours, paint brushes for school. Sanitary Pads for Girls – of good quality & absorbent. 3) Send your gift by way of cheque, money order or postal order payable to ‘Rumah Hope’ and mail it to our address. Tax exempted receipt will be issued. Previous events can be viewed here. Please contact organisation for more information on future events.